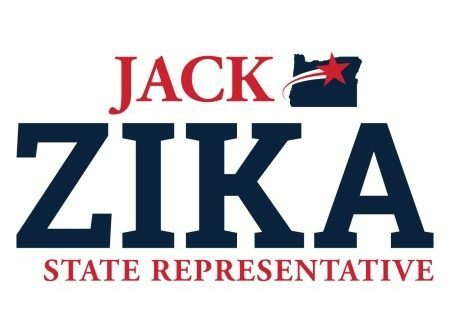 Central Oregon realtor and civic leader Jack Zika announced his candidacy for Oregon House District 53. Zika, 40, of Redmond, will seek the Republican nomination in the May 2018 primary election and hopes to earn the support of HD 53 residents in the November general election. He cited education, access to affordable housing and the need for fiscal responsibility as his top priorities as a candidate. As a real estate broker serving clients throughout Central Oregon, Jack is very engaged in housing issues locally and across the state. He serves on the Redmond Planning Commission and Neighborhood Revitalization Committee, as well as the Board of Directors for the Oregon Association of Realtors and is a member of the association’s government affairs committee. Jack was also recently elected to as the First Vice President for Central Oregon Association of Realtors. Jack is also very engaged with local community nonprofits and volunteer organizations, including; Habitat for Humanity, Boys and Girls Club, Prineville Elks, Ronald McDonald House, Deschutes County Fair, Bethlehem Inn, Project Connect, Oktoberfest, Red Cross, Heaven Can Wait and the Redmond Area Park and Recreation District. He is also the coach for a local kindergarten and first-grade soccer team. Jack is running to replace longtime Central Oregon state representative, Gene Whisnant (R-Sunriver), who announced on Monday that he would not seek re-election to the Oregon House. House District 53 includes the communities of Redmond, Tumalo, Sunriver, and portions of Bend and unincorporated Deschutes County.